One of the festivals in the Hindu calendar of the world is Navratri. It is a festival of nine nights. It is a time when people of all ages come together to celebrate the beauty of creation and give thanks to God for giving us a healthy and prosperous life. It is a festival of motherhood, giving thanks to Mataji for enabling mothers to nurture creation. In the UK, it is celebrated all over the country, and as always, I made a lot of effort to invite the media and civic leaders to come and enjoy the celebrations and see social cohesion in practice. I have always believed that many of the solutions to our intractable problems lie in the past, and they need to come off the boundaries of faiths and cultures, and be shared more widely to enrich the whole world. Navratri is such a festival, and we had two full colour pages in the Gazette this year and a national BBC radio broadcast on the festival - you can view it by clicking this pagelink and listen to the broadcast:(http://news.bbc.co.uk/local/essex/hi/people_and_places/religion_and_ethics/newsid_8283000/8283315.stm.) The awareness of the festival and its virtues are spreading everywhere. I wrote the above article on the need to see the big picture of Diversity in Colchester and to embrace it positively for the Colchester Gazette. Small town Britain is a microcosm of the world. That is the huge strength that we have. However, we are failing to harness this positively. Small creative steps can make a huge difference to community life in these towns and cities. Suggestions for these are highlighted in the above article. I would be interested to hear your opinions. Race for Opportunity have just published a report on the state of British workplaces, which makes for interesting reading. It calls for greater transparency and celebrates organisations which collect data on the ethnicity of their employees and their progress through the workplace. The publication of this benchmarking study is noteworthy, and for me, it is as interesting what is not in the report as what is. For example, the report claims that in the top 100 companies, the number of ethnic minorities (5%) is lower than the total UK population of minorities (10%). If you go to Grammar Schools in Britain, the proportion of ethnic minorities is more like 30%! So why should we even settle for 10% in the Boardroom, if minorities are so able and so resourceful. Also, if the top 100 British corporations are global corporations, then surely they should outward facing rather than inward looking? In which case the target percentage of diversity in the boardroom should be more like 80%! There is an admission that something is going wrong in the middle of these organisations - not enough people are rising up the ladder. Here again corporate culture and attitudes has a very important role to play. Some organisations like American Express and the MoD have introduced mentoring as a way of enabling people to rise through the ranks and support them in the process. This is very important and laudable. But it is a slow and gradual process. And as the report highlights, the recession can set back some of these long term schemes very easily. My real fear is that the leadership in Corporate Britain is still resisting diversity and pushing it under the carpet. The genuine commitment in this area is very weak. As a result, the significant structural changes needed in the organisations do not happen. And minorities certainly lose out big time. For many, workplaces are like torture chambers, especially as they climb the ladder. And in the recession, these chambers become traps. Sadly a large number of minorities give up their identity on their way to the top. That is the only way they can 'adapt'. I am sure this has a big impact on their 'inner' personal life. It creatively shows the melting pot of Britain, described as a recipe - a recipe for fun, joy and creativity, a recipe for respect. In a few words, Benjamin shows that equality is not a statement or a policy guideline but a practical act of connection and dignity. Each and every person is important, each and every voice is important, and peace is the most important of all. Words can be used to build bridges. In workplaces, we can use words to inspire, to motivate, to respect, to encourage and to build a better Britain, proud of its diversity, keen to embrace it and profit from it. The BBC's poetry season is a great reminder of the power of words and their importance in inspiring people and uplifting everyday lives. Raise your life today - read a poem, or write one. And enjoy the dialogue with your soul. I had an excellent meeting this week with Lord Dholakia, the former president of the Liberal Democrat party and one of the most prominent ethnic minorities in British politics today. He was very complimentary of our recent book entitled: 'Social Cohesion - A Jain Perspective' by Dr. Aidan Rankin and Dr. Atul Shah and he cogently argued that the Jain faith and community have a critical role to play in British political and civic life. Such a community has the potential to enrich the whole of Britain through the sharing of its culture, values and heritage. He had huge praise for Jain art, temples and community and said that our philosophy of uncompromising ahimsa (non-violence) is a very useful barometer for Britain. By coincidence, the next day on Radio 4 'You and Yours' there was a representative from the Ministry of Justice saying that the government is actively seeking to help ethnic minorities play a greater civic role in British political life. 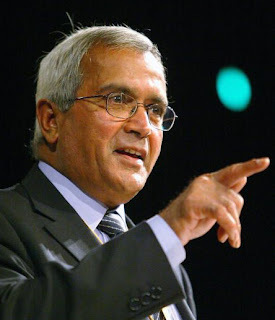 Lord Dholakia explained at the meeting that communities should develop a strategy of engagement and question politicians about their commitment to different values and belief systems. He particularly emphasised the need to involve the hugely articulate young people from the Hindu/Jain communities in Britain today. They have great potential and the space needs to be created for their participation in civic life. The social enterprise Diverse Ethics has as its central aim the improvement of inter-cultural relations and understanding and we have a strong background in this area, as writers, trainers and consultants- visit http://www.diverseethics.com. We can provide excellent support to both communities and government in the processes of civic engagement and improving the understanding of British political life. We firmly believe that in doing so, we will improve the lives of both - minorities who feel marginalised, and government and political institutions which want to be more representative and improve their creativity and wider public appeal. Our aim now is to create a Jain panel for civic engagement, and there are already a number of persons interested in this. More widely, Diverse Ethics will now directly engage with public bodies to facilitate their community engagement and educate ethnic minorities about the processes and benefits of civic engagement. I am just completing a very interesting course on leadership organised by the charity Common Purpose http://www.commonpurpose.org It is an experiential course, and one of its central themes is 'Leading Beyond Authority' - as the most common approach to leadership seems to be through the use of status and power, and Common Purpose would like to show other approaches which in the long run are more 'empowering'. I come from a whole culture and community of leaders. It has very long roots, in fact 3000 years old, and it is fair to say that the Jains are not just leaders but oftentimes, leaders of leaders. We have a beautiful temple in London which is dedicated to our 24th Tirthankar (Prophet) Mahavir who was our pioneering spirit. Born as a prince in northern India in 599 BC, he was well-educated and from a young age, had a deep spiritual quest. At the age of 30, he decided to leave his home and family and go into the forest to meditate on the real science and purpose of life. A deep and intense reflection over a period of twelve years resulted in him attaining 'Kevalya Gnan' (perfect knowledge and wisdom) one day, and after that, he established the Jain Sangha and gave sermons on the science and philosophy of ahimsa (non-violence). The connections with Common Purpose are obvious. The Jains also believe very strongly in interdependence and this philosophy is extended to all living beings (parasparopagraho jivanam). There is a strong emphasis on values and self-discipline. Every Jain is encouraged to minimise harm to any living being and live a life of simplicity and respect. The environment, animals and nature are given a very high status, where humans are trustees and fully responsible and accountable for their actions. When such values are practiced, leadership becomes a 'natural' act. People are automatically drawn to you as there is no agenda, and one leads through example. Knowledge and learning are regarded as very important for the progress of the soul, and the combination of a scientific approach with a deep sense of ethical accountability are key ingredients for success in leadership. Even in the area of thought leadership, Jains have had a huge role in the history of India. Mahatma Gandhi, regarded as the greatest leader of the twentieth century, drew his inspiration from the Jain philosophy of ahimsa. Our latest book on 'Social Cohesion' can be seen as an example of responsible thought leadership being given to this very pressing problem in Britain. In the guided tour of the temple on 9th Mayhttp://www.diverseethics.com/CommonPurposeTour.htm, I will explain these concepts and show how Jains replenish their leadership values and commitment through regular worship and prayer. For us, Common Purpose is a cosmic law. We are very pleased to be associated with this charity and to help them with their diversity outreach. The above link shows details of a programme for University students from diverse backgrounds to have a paid internship in the Civil Service. There are details of case studies of individuals who have worked and their experiences of the programme. Special training is also provided during this time, with the aim of attracting the students to permanent jobs and also to act as ambassadors for the Civil Service. This is a positive, practical example of how the diversity mix of staff in an organisation can be altered and barriers to entry and perception broken. It is not the only solution, as often there are barriers to promotion after minorities are recruited, but it is definitely a start in the right direction. As we have maintained with earlier blogs, the real problem in the British public sector is with senior level recruitment and retention. This is often where diversity is weakest, and there are huge cultural and ethical barriers which need to be faced and addressed before there are results. This is a particular expertise of Diverse Ethics (the social enterprise that I have founded) and we would be very happy to help organisations implement sustainable practices to embrace diversity for the medium and long term.